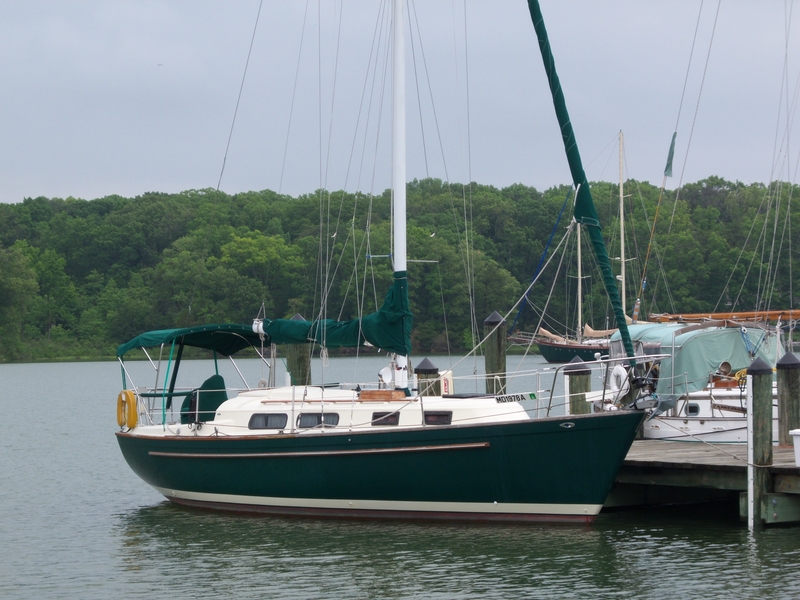 The Pearson 323 Sailing Vessel is a compact cruiser rigged as a masthead sloop that has withstood the test of time. 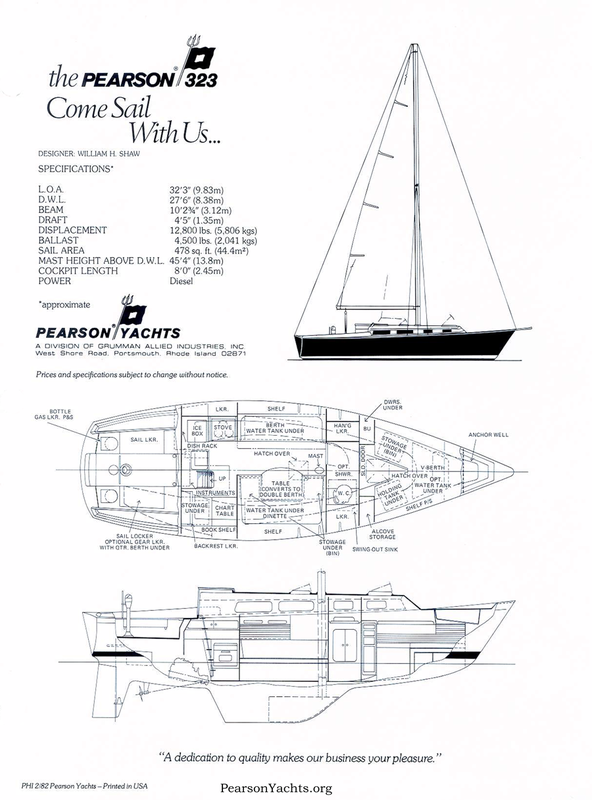 With many attributes found in larger cruising boats, such as an encapsulated keel; skeg hung rudder; comfortable cockpit with comings and large drains; and longitudinal stringers to stiffen the hull; she is a real boat, well built for coastal cruising or passagemaking. One piece molded fiberglass laminate (hand lay-up) with integrally bonded bulkheads. Standard hull color, white (other colors optional). Boot top and bottom paint: standard colors. One-piece molded reinforced fiberglass laminate with balsa core for stiffness and insulation. Deck colors, beige or light gray with slate gray accent stripe in cabin trunk side. Non-skid on all walking surfaces. Self bailing cockpit (P&S). Cockpit sail lockers (P&S). Cockpit seats and seatbacks angled for seating comfort. Fiberglass sliding companionway hatch. Teak drop slide. Fiberglass coamings and winch islands with teak trimmed storage alcoves under. Teak handrails. Anchor locker in foredeck with optional anchor platform. Deck unit mechanically fastened and glassed to hull for complete watertight integrity. Deck scuppers (P&S). Teak toe rail caps. Auxillary Power provided with either a 30HP 4-cylinder Unversal Atomic 4 Gasoline Engine and 2:1 reduction gear in V-drive ---OR--- a 23HP 2-cylinder Volvo MD 11C Diesel Engine and 1.91:1 reduction gear in V-drive. A 35 Amp alternator was original equipment. The drive-train is a 1 1/8" bronze shaft, strut, and bronze gland stuffing box with a 3-blade propeller. Stainless steel water box muffler with steamhose exhaust line. Individual throttle and clutch controls mounted on steering pedestal. Instruments in cockpit include oil pressure, water temperature, fuel gauge, ammeter, waterproof start button and choke control. 30 gallon monel or aluminum fuel tank with deck plate fill and overboard vent. Automatic fuel shut-off valve fuel filter and flexible fuel line. Two water tanks located under port and starboard berths. Total capacity of 38 gallons or 78 gallons with optional bow water tank. Separate deck fills, vents and supply lines with shut-off valves. Holding tank toilet system with Y-valve. Intake lines fitted with bronze seacock. Circuit breaker switch panel. Master power switch. Two 12v 90AH batteries as original equipment. International navigation lights. Interior cabin lights. Stranded copper wiring with impervious covering, color coded for circuit identification and located high above bilge area. Designed to minimize voltage drops. Chrome plated brass or bronze stainless steel and special marine alloys, including custom designed stemhead fitting with anchor roller, stainless steel backstay and shroud chain-plates. 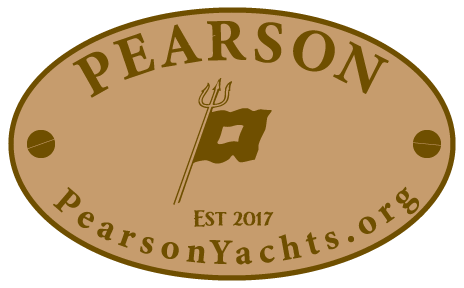 Bow chocks, bow cleats and stern cleats (P&S). Four large fixed ports in main cabin. Four small ports forward with one opening (early models) and all four opening (later models). All ports have tinted glass or smoked Lexan. Dorade box with cowl vent over toilet room on starboard cabin top, and an additional Dorade box on port side with later models. Transparent aluminum frame overhead hatch in main and forward cabin. ALUM-T genoa tracks thru-bolted (P&S). Genoa blocks with track slides. Stainless steel bow pulpit and stern rail. Stainless steel stanchions with vinyl covered stainless steel lifelines. Edson steerer with 5" Ritchie compass. Emergency tiller. Two No. 40 Lewmar sheet winches (chrome), recessed main sheet traveler on bridge deck. Mast of aluminum 6061-T6 alloy with a protective coating of black awlgrip. Internal track section. Mast stepped on keel. Aluminum spreaders. Custom masthead fittings with stainless steel tangs. Halyard cleats. Two No. 8 Lewmar halyard winches (chrome). Boom of aluminum 6061-T6 alloy with internal sail track groove. Fixed gooseneck. External clew outhaul. Topping lift. Mainsheet and blocks. Stainless steel 1x19 wire with truloc swaged end fittings. Stainless steel turnbuckles. The upper shrouds are over-sized and the lower shrouds have both fore-and-aft wires (P&S). Sleeping accommodations for five. V-berth in forward cabin with trap stowage under. V-berth filler lowers for use as a seat. Alcove stowage to starboard, drawer and locker stowage to port. Forepeak locker for anchor rode stowage. Transparent hatch overhead forward. Enclosed toilet room with hinged and sliding door privacy. Swing out vanity unit to starboard. Hanging locker to port. Shelf storage (P&S). Chart table/navigation area aft to starboard with seat. Stowage behind and under. Galley to port of companionway. Deep stainless steel sink with fresh water foot pump. Top loading ice box with foam insulation. 2-burner gimballed alcohol stove (3-burner propane range with oven optional). Sliding door lockers outboard of galley countertop. Shelf stowage over. Cutlery stowage under compainionway, dish lockers recessed under bridge deck to port. Storage locker/engine access under galley counter. Stowage behind backrests (P&S). Bin stowage under dinette seats. Teak bulkheads, trim, ceiling, and joiner work throughout. Black aluminum handrails (P&S). Carpeting standard, teak sole optinal. Access panel for instruments over galley counter. Countertops and table covered with high pressure laminates. Berth mattresses are 4" foam, fabric covered throughtout, choice of interior decor colors. Bonding system incorporates common grounding of chain plates, seacocks, engine and fuel tanks. Seacocks on thru-hulls with dual hose-clamps. Deck and cockpit areas have molded-in non-skid surfaces. Self bailing cockpit (P&S). 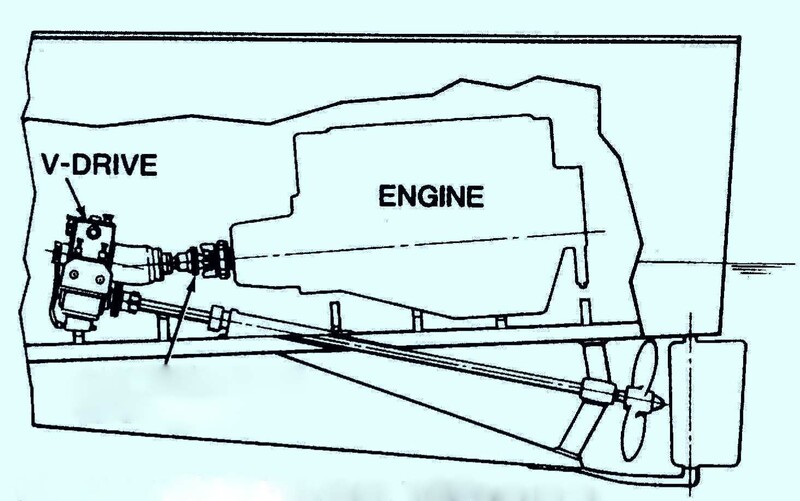 Natural and forced ventilation of engine compartment in accordance with USCG regulations. Manual bilge pump. Stainless Steel dual-course Lifelines. Bow pulpit and stern rail. Teak handrails on cabin top. Interior handrails. Automatic fuel shut-off valve. Gate valves on engine intake.